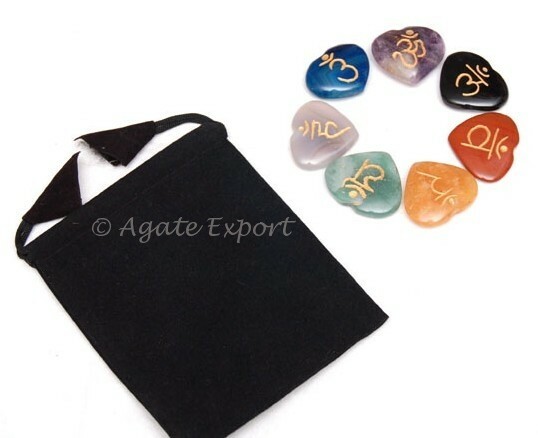 Engraved Sanskrit Chakra Set will help you to think creatively. It will improve mental ability and intuition power. The set is available at Agate Export.